Timeless Traditions at the Depot in Baudette THIS Sunday! 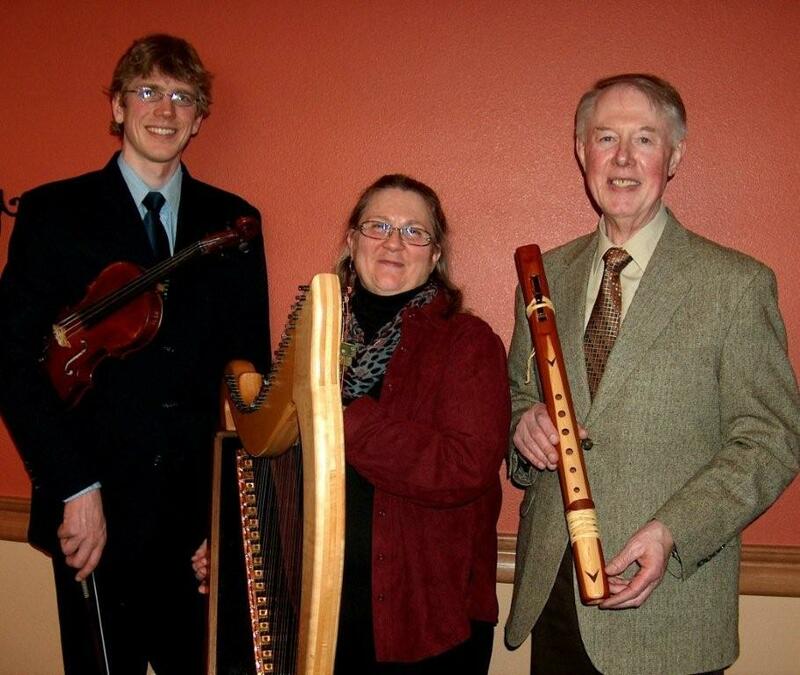 Timeless Traditions, an ensemble that blends the Native American Flute and Celtic Folk harp in classic, ethnic, and contemporary music in original settings, will be at the Baudette Depot at 3:00 p.m. this Sunday, February 26, 2012. Jon Romer (flutes) and Jacque Tinsley (harp) will be collaborating with Andre Ronnevik on the violin. Timeless Traditions strives to celebrate the rich musical heritage of many world cultures as well as its extraordinary diversity. Audiences often comment on the calm, healing nature of Timeless Traditions performances. Please stay after the concert for refreshments and an opportunity to visit with the artists, mingle with the crowd, and check out the ambiance of the restored 1923 Depot. Free will donations accepted. This activity is funded in whole or in part by a Region 2 Arts Council Grant through an appropriation by the Minnesota State Legislature Arts and Cultural Heritage Fund passed by Minnesota voters on November 4, 2008. Next postGet Inspired! Get Motivated! Get your Inner Artist Movin’ this March!